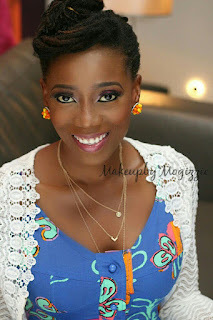 Tosyn Bucknor's Blog: #FashionThrowback 68th Emmys Red Carpet: Niecy and Kerry's night! #FashionThrowback 68th Emmys Red Carpet: Niecy and Kerry's night! Remember when the 68th Emmy Awards hosted by Jimmy Kimmel held and Jimmy basically kept the crowd in stitches with various gags and his dark humour. But of course! Forget who won what (Game of Thrones, Regina King, etc), what kept us enthralled was the red carpet. The beautiful Tracee Ellis Ross from one of the funniest series ever 'Blackish' looked simple but sophisticated in this Ralph Lauren dress. Perfect off-shoulder crimson gown for the red carpet. I particularly loved when she twirled in this Jason Wu gown for the camera. Go Priyanka! Niecy Nash had designed this dress years ago and finally summoned up the courage to actually get it designed, teaming up Christian Siriano. Remind me to try this. Lmao! Kerry Washington flaunted her baby bump in an elegant black custom Brandon Maxwell dress. The 2016 Emmys were a blast as usual. What were your favorite looks and moments?